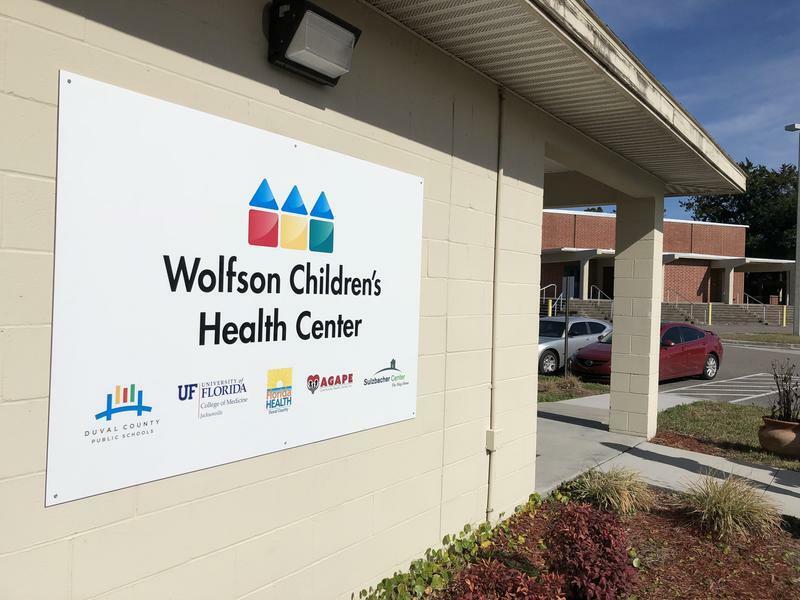 Jacksonville’s first school-based health clinic, the Ribault Family Resource Center — a Wolfson’s Children’s Health Center, had an open house Thursday. Soon Duval County children living in an area historically lacking access to health care will have doctors’ offices on school grounds. Jacksonville’s first school-based health clinic had an open house Thursday. It’s called the Ribault Family Resource Center — a Wolfson’s Children’s Health Center. The clinic on Jean Ribault High School’s campus is a seperate building and looks just like a mini doctor’s office with a couple exam rooms and waiting area. When it opens February 9, anyone in the community under age 21 can come for care. In addition, another Ribault High clinic and one at Ribault Middle also recently started seeing students inside the schools. Baptist Health, Wolfson’s Children’s Hospital, the school district, UF Health Jacksonville and other organizations partnered to bring the school-based centers to Jacksonville’s Northside. Baptist Health CEO Hugh Greene said his hospital’s research shows few people in the area, known as “Health Zone 1,” were getting primary care. 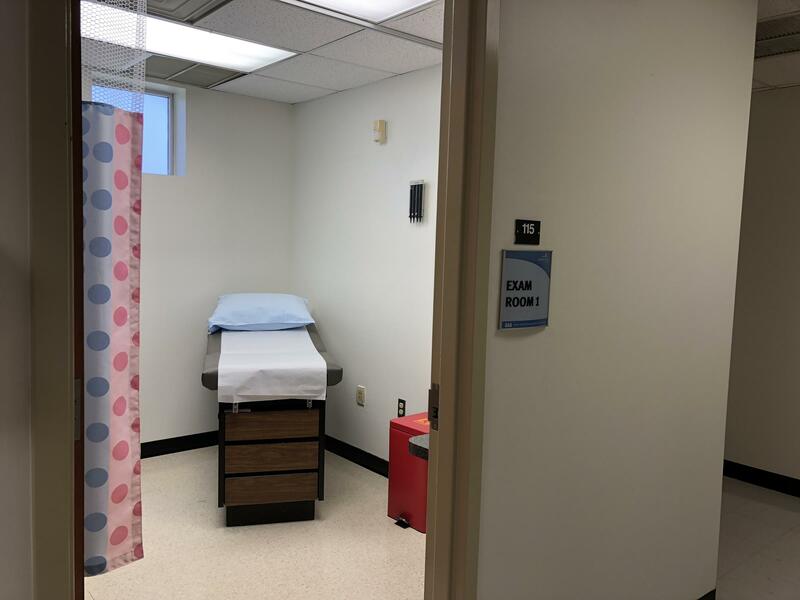 The clinic on Jean Ribault High School’s campus is a seperate building and looks just like a mini doctor’s office with a couple exam rooms and waiting area. “The zip codes around these schools came out as being an area of great need,” he said. That’s why school Board Chair Paula Wright said the project has been her priority for some time. “When we think about the academic health of our children we have to also parallel that with the physical health,” she said. 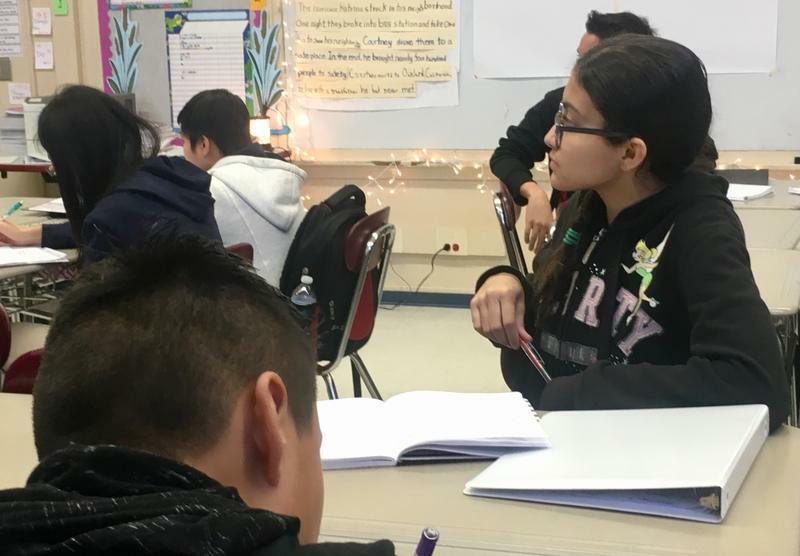 Duval County already has a dozen “full-service plus” schools with mental health services and health education but the school-based centers will offer more, including annual physicals, a prescription for the flu and care for chronic issues like asthma. The centers will share a nurse practitioner and a doctor. Medical Director Doctor Mikah Owen said it’s his job care for the young people, but also to make sure they show up. 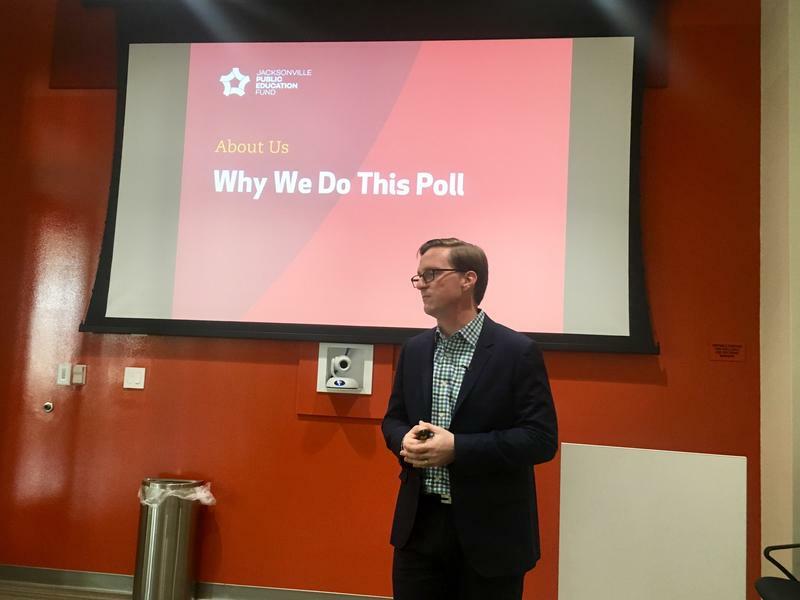 And he said he intends to continue following-up, to see what can be put in place to help students with health issues that go beyond his office’s setting, whether it be lack of access to fresh food, to toxic stress. No kids will be turned away for care from the school-based health clinic. If the student has insurance, the parent’s will be billed for the co-pay. If the student does not have health insurance, staff will assist parents in applying for insurance through Florida KidCare. In addition, Greene said some generous private donations and financial assistance from Baptist Health can help cover visit costs. The rate of babies being born early is going up across the country. 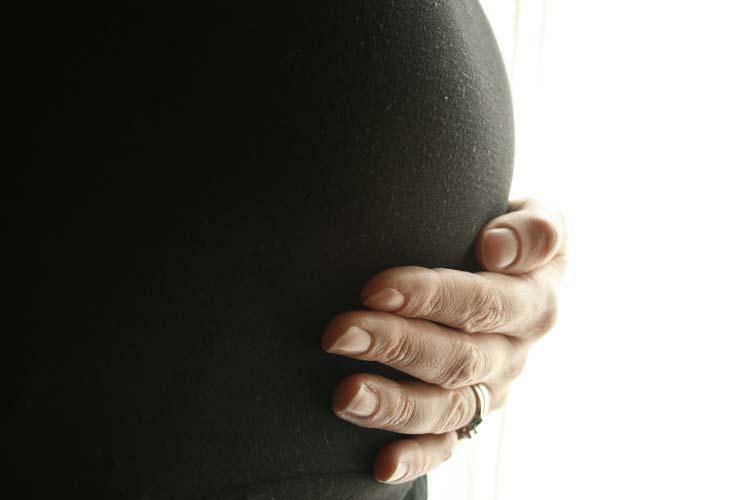 There were 8,000 more preterm births in the U.S. last year than the previous year, and Jacksonville’s rate is worse than the country’s. Duval County poll respondents said good, effective teachers are important to them when sending their child off to a school and they feel teachers starting off are being paid nearly $10,000 too little.